Donald Trump continued his extraordinary repudiation of U.S. intelligence agencies Wednesday night when he expressed "doubt" about their conclusion that Russia has been interfering in the U.S. election through a hacking campaign — even though intelligence officials briefed him on the Russia link in person months ago. 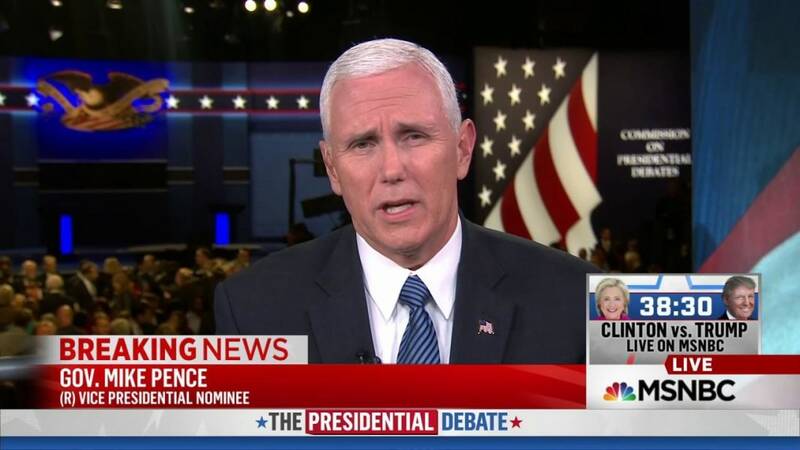 "Our country has no idea," who is doing the hacking, the Republican nominee said during the final presidential debate, after Hillary Clinton challenged him to accept the conclusion of the CIA and other agencies that the Russian government was behind the leaks of internal Democratic emails. When moderator Chris Wallace pressed Trump on whether he was disputing the assessment from U.S. intelligence officials, he replied, "Yeah, I doubt it. I doubt it." 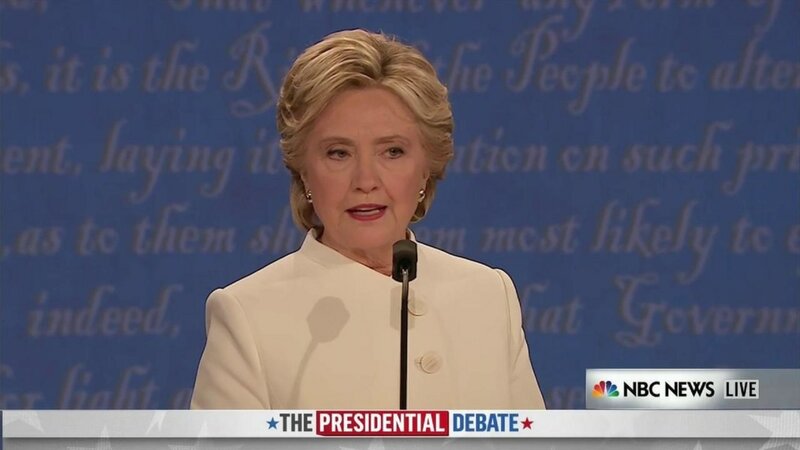 Clinton responded, "He’d rather believe [Russian president] Vladimir Putin than the military and civilian intelligence professionals who are sworn to protect us." 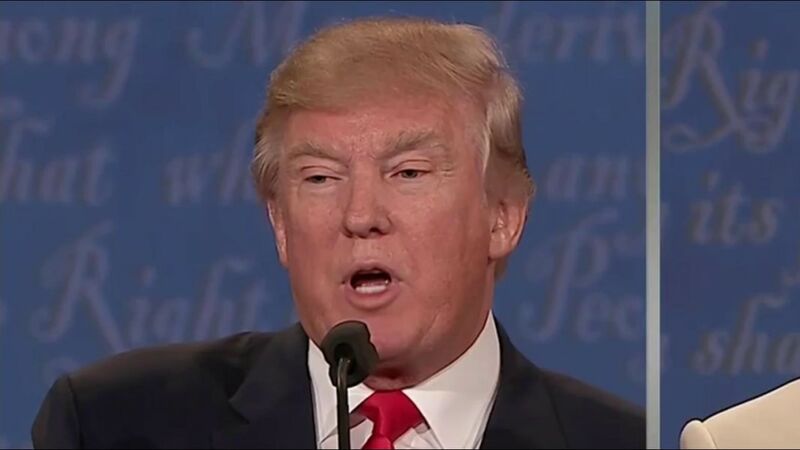 The exchange marked the third time in three debates that Trump has disputed the idea of Russian involvement in the election hacks. It’s extremely unusual for a mainstream presidential candidate to rebuff the public conclusions of U.S. intelligence agencies, which are staffed mainly by non-partisan civil servants. NBC News has confirmed that U.S. intelligence officials relayed to Clinton and Trump in classified briefings what the heads of Homeland Security and the Office of the Director of National Intelligence later told the public in a joint announcement — their assessment that Russian intelligence agencies have been hacking into political entities, including the Democratic National Committee, and making emails and other documents public through WikiLeaks and other outlets. During the first presidential debate on Sept. 26, Trump expressed doubt about Russia’s involvement in the hacks, even though he had been briefed on the Russian role in August. During the second presidential debate on Oct. 9, Trump repeated his doubts about Russian involvement — just 48 hours after the public statement by DHS and ODNI that Russia was linked to the hacks. 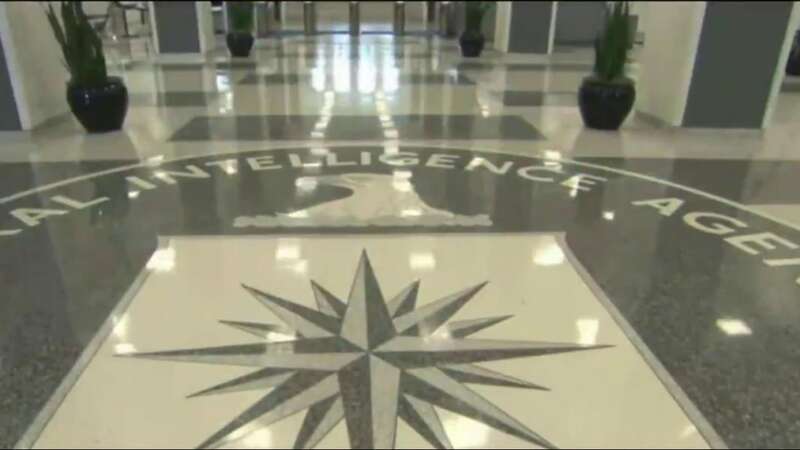 NBC News has also reported that the CIA is presenting President Obama with options to retaliate against Russia in cyberspace and elsewhere for the unprecedented alleged attempt to undermine confidence in the American election. On Thursday morning, after Trump’s statements at the debate, Director of National Intelligence James Clapper reiterated the U.S. assessment on Russian involvement in remarks to an intelligence contractor trade group. "Two weeks ago DHS Secretary Jeh Johnson and I released a joint statement saying that the recent compromise of emails was directed by the Russian Government," Clapper said. "The emails released on sites like DCLeaks.com and WikiLeaks and by the Guccifer 2.0 online persona are consistent with the methods and motivations of Russian-directed efforts. Going after the U.S. political organizations is a new and aggressive spin on the political cycle." Clapper added that it would be "very difficult" for Russian hackers or anyone else to alter the results of the U.S. presidential election. He also called the public statement accusing Russia "pretty unusual," and said, "We wouldn't have made it if we weren't confident. We are confident, and I think that speaks for itself. It's one of the reasons why we waited as long as we did to make a statement to make sure we had sufficient evidence, forensically and otherwise." Michael Hayden, former head of the NSA and the CIA, told NBC News that Trump's "doubt" about the intelligence community's assessment raised serious questions. "At this debate," said Hayden, "he reject[ed] a high confidence judgment from the American intelligence community that the Russians are breaking in to DNC emails. That's troubling on two counts. First, what will it take for him to criticize Russia? And second, here is a man who would be president, rejecting an intelligence judgment because it is politically inconvenient." WikiLeaks on Thursday released another tranche of the private emails of Clinton adviser John Podesta. It’s the latest in a series of disclosures that have proven embarrassing and damaging for the Clinton campaign but do not appear to have changed the trajectory of the race. NBC News reported Wednesday that intelligence officials have taken steps in cyberspace and through other means that they believe will prevent more political hacks by Russian intelligence in the immediate future, though they acknowledge the defensive fixes won't work forever. Trump, whom experts from both parties say has taken unprecedented positions in line with those of Russian president Vladimir Putin, has consistently discounted Russian involvement in hacks appearing to benefit his campaign. In pressing Trump during the debate, Wallace said: "The top national security officials of this country do believe that Russia has been behind these hacks. Even if you don’t know for sure whether they are, do you condemn any interference by Russia in the American election?" Trump replied: "By Russia or anybody else." Wallace asked, "You condemn their interference?" Trump replied: "Of course I condemn. Of course I — I don’t know Putin. I have no idea. I never met Putin. This is not my best friend. But if the United States got along with Russia, wouldn’t be so bad. Let me tell you, Putin has outsmarted her and Obama at every single step of the way."